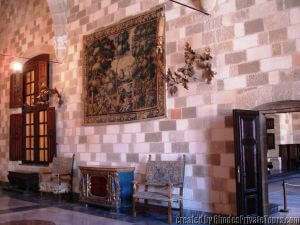 If time is pressing and there is only time for one museum visit, save it for the Palace of the Grand Masters. 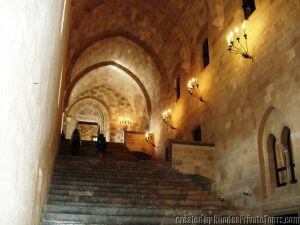 At the highest point of the Castle, stands The Palace of the Grand Masters. 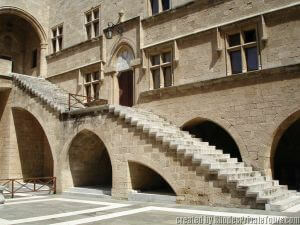 It has been a fortress, an administration center for the Knights Hospitaller, and a Palace for the Grand Masters. In the 20th century, it was a holiday residence for the King of Italy and later for fascist dictator Benito Mussolini. It has been damaged by earthquake (1481) and an ammunition explosion (1856) and rebuilt several times. 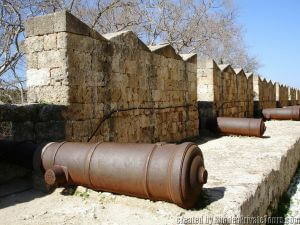 It had very imposing dimensions (80x75 m.) and defensive fortifications. 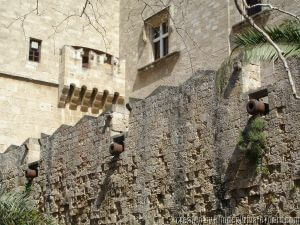 It was so strong that during the siege of 1522 it suffered little damage. The main entrance is in the south facade, flanked by two imposing towers. The west facade is pierced by a gate, in front of which rises a tall, square tower, probably the work of the Grand Master Pierre d'Aubusson (1476-1503). 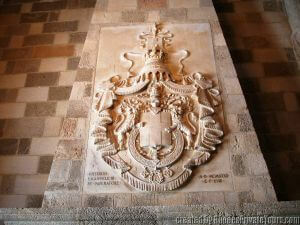 The Grand Masters Palace "The Citadel" was a fortified building where the Grand Masters had their residence. On the site where the palace stands "Castello" the "Lower Acropolis" of ancient Rhodes once stood. This is also where the acropolis of the Rhodians of the Byzantine period stood (7th century). The arrangement of the palace around the central courtyard with the apartments on the first floor and the storerooms on the ground floor show the Byzantine influences at work. During the early years of their occupation, the Turks used it as a prison and then left it to crumble. The palace was completely destroyed by the great explosion at the church of St. John in 1852. 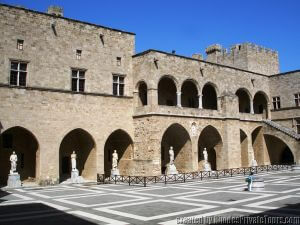 When the Kingdom of Italy occupied Rhodes in 1912, the Italians rebuilt the palace as a holiday residence for Victor Emmanuel III of Italy , and later for Benito Mussolini. 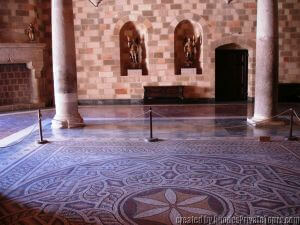 Its floors are decorated with marvelous mosaics of the Hellenistic and Roman period which were brought in from Kos Island. 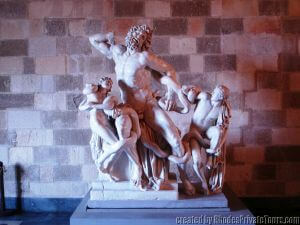 Laocoön in the Grand Master's Palace. 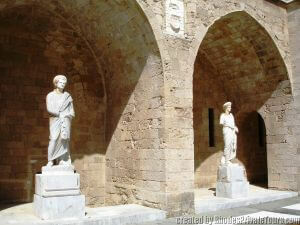 The statues in the inner courtyard of the palace are also from the Hellenistic and Roman period. 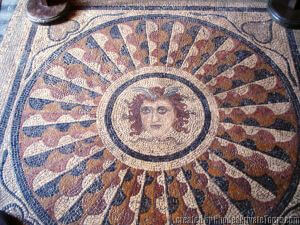 There are indications that under its foundations lies the famous ancient temple of Helios with Its lavish decoration.